Sit back, relax and savor the good life! 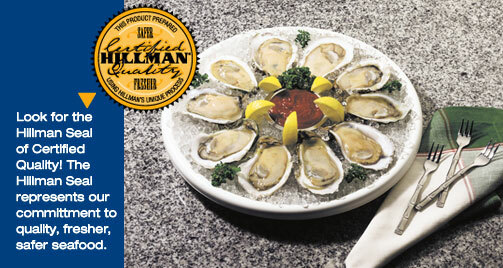 One bite of Hillman's delicious seafood and you'll feel like royalty. Anything less simply won't do! With a solid reputation worldwide, we offer a variety of the best quality seafood. So, go ahead, treat yourself and enjoy the lap of luxury with the freshness of Hillman!